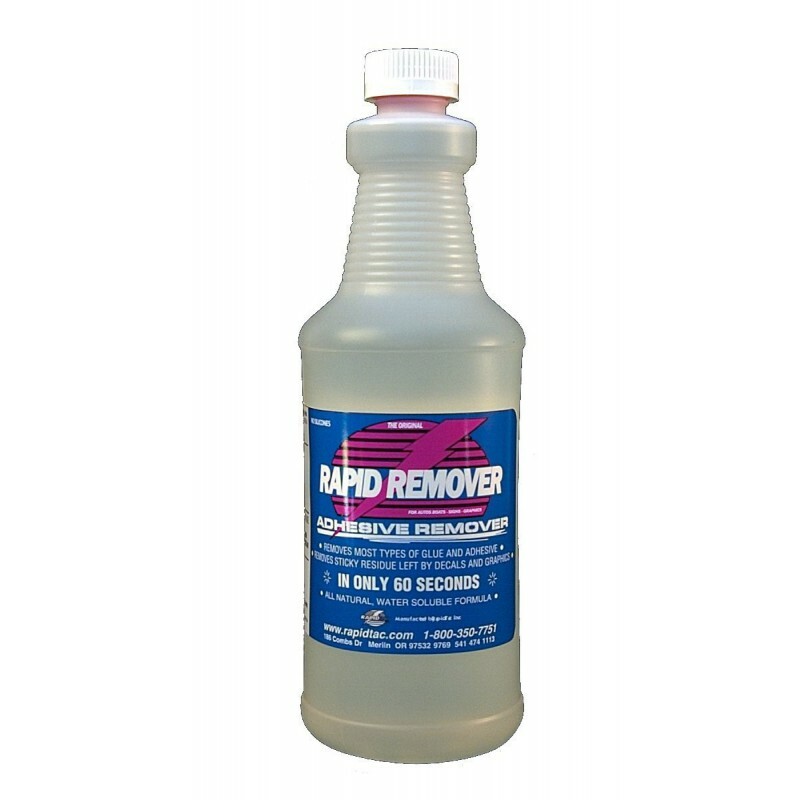 Rapid Remover is a non-toxic adhesive remover that breaks down and removes adhesives in as little as sixty seconds! 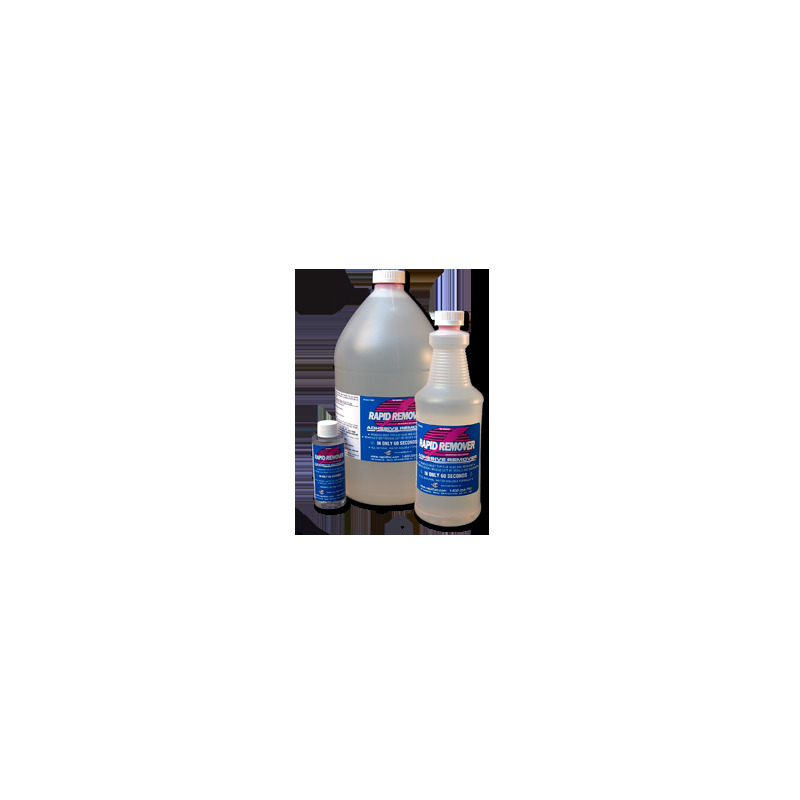 Ideal for residue from decals and vinyl graphics. 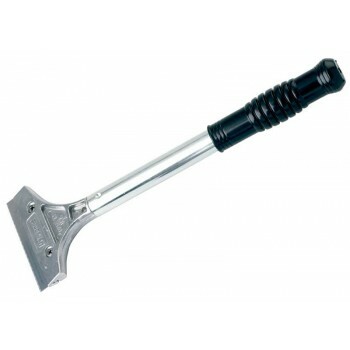 Spray it on, wait a few minutes, and easily wipe away stubborn adhesive with a plastic squeegee and paper towel. 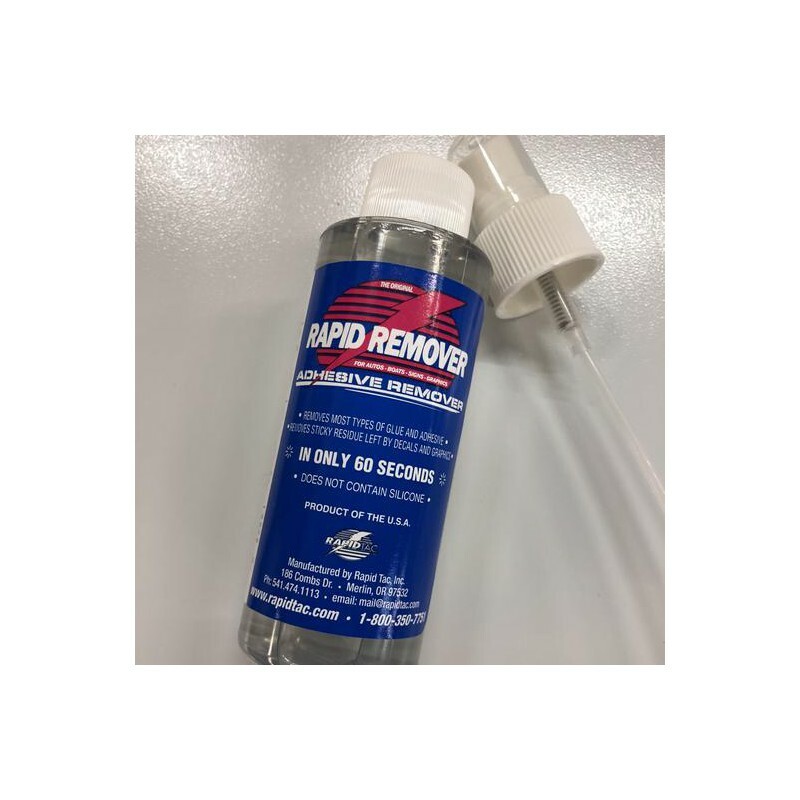 Not only is does Rapid Remover work fast, but it works without causing damage to most painted or bare metal surfaces. 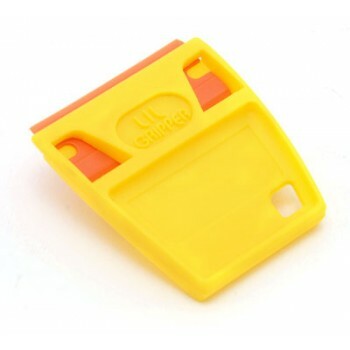 Shorten long, messy jobs with an easy, clean, and non-damaging removal. 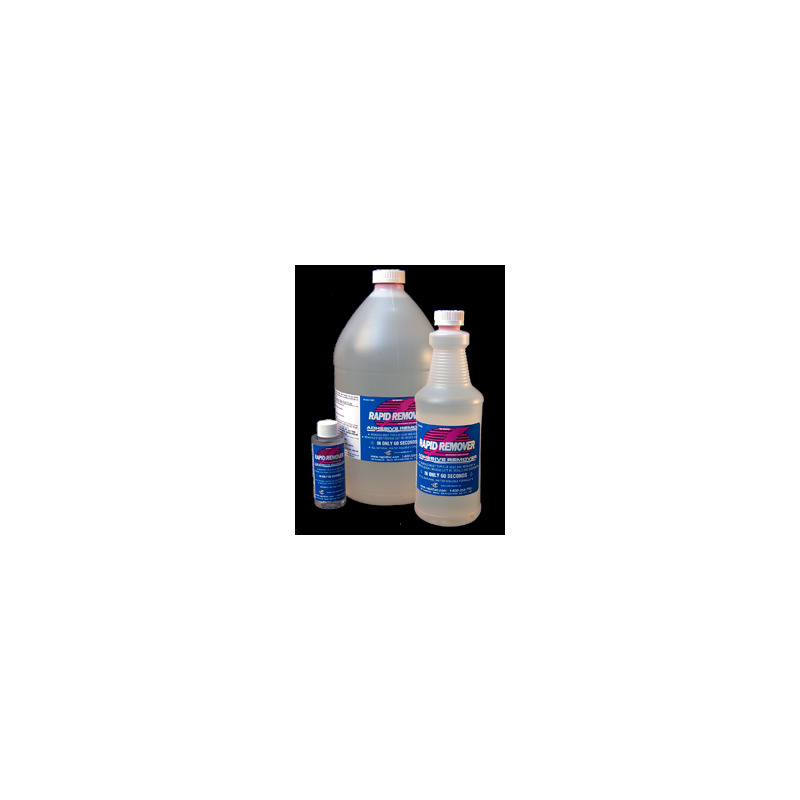 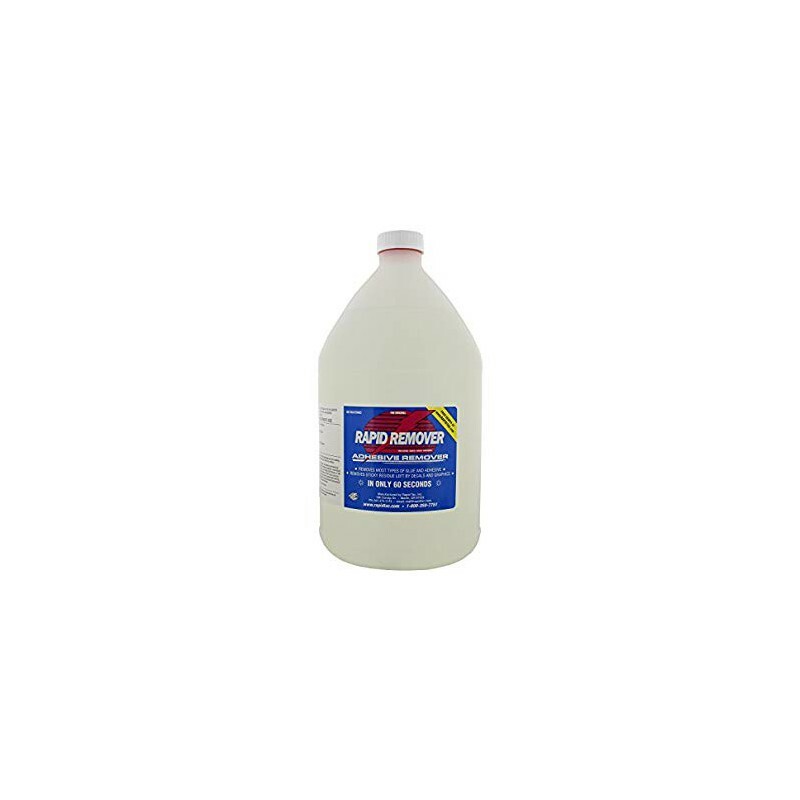 Rapid Remover contains no dangerous, paint-damaging chemicals and causes no health hazards.